Here’s a clue. Link density with intensity, slap it on a Google map showing the spaciousness of traditional Kiwi quarter acre sections “with all day sun and a 5-minute walk to the shops” and you’ll likely hear an intergenerational community standoff as ‘generation rent’ come up against baby boomer property owners. 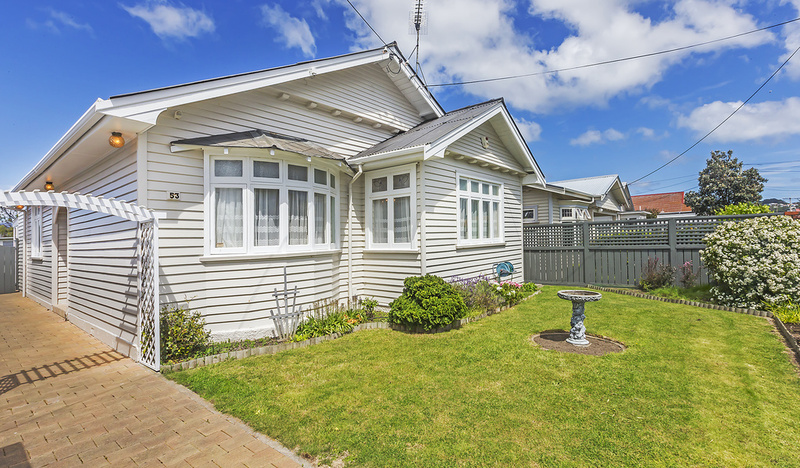 Here at Talk Wellington we think our cities and suburban village centres need to adapt, and quickly, to ensure all New Zealanders can live in a healthy home that is connected to their community and close to public transport. Renters are being locked out of the increasingly unreachable home ownership game, with many families not finding affordable and healthy rentals. Options such as rent-to-own, co-ownership, or long-term tenancies in well-designed urban developments should all be on the cards. So – what is residential intensification? And what about that other phrase thrown around: integrated development? (We have an inkling it’s the opposite of what our TW guest poster rants about here). There are some other smart, switched on folks out there who know a lot about all this and like to share what they know. 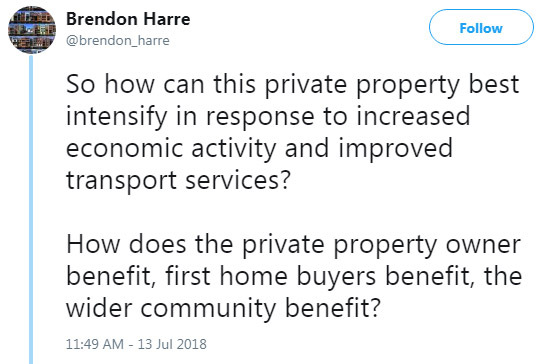 Brendon Harre posed several excellent questions over on Twitter recently. They were targeted at Aucklanders – but guess what Wellington, Hutt Valley, Porirua, Kāpiti – it’s all relevant for us too. Harre, from Canterbury, is interested in housing policy initiatives and writes about this at his blog: New Zealand needs an urbanisation project. The Hon. Phil Twyford, Minister of Housing and Urban Development is a fan. Help me with this jargon! Residential densification definitions vary, with some mentioning the type of house, and other focusing on the density of dwellings over a specific site size or land allocation. Between low-density housing (which are stand-alone dwellings generally 1-2 storey) and high-density (apartment buildings greater than six storeys) – sits medium density (MDH for short). BRANZ helpfully defines MDH as multi-unit dwellings (up to six storeys) so this can include duplexes, triplexes, 2-4 storey terraced houses or apartments with 3-6 storeys. Take an integrated approach to transport, infrastructure and urban development. Land use planning, urban development planning, transport planning. Basically, it’s ensuring planners are planning to plan together. So, we’re getting our heads around housing intensification, integrated transport and how it could be all linked up. We think Wellington region communities need to start having more and better conversations about better urban design and intensification, and make sure the officials and politicians turn the knobs on the planning system in the right directions. Could us Kiwis learn to love medium density living (many of us already do) – and in turn could more MDH around start to solve our housing crisis? Hutt City Council has just closed the final submission round for proposed District Plan changes that propose to increase medium density residential and suburban mixed use. The proposed changes would allow greater density around nine defined areas which all have excellent proximity to transport, schools and recreation areas. Makes sense right? Bringing Hobsonville – Brendan Harre again! Porirua City Council is also reviewing their District Plan – stay tuned for proposed changes next year. Public acceptance of the need to grow and support for more diverse housing options and affordable housing, came through strongly in the PCC’s late 2017 engagement – along with a reluctance to see low density sprawl and moving towards more medium density intensification. There are plans afoot to establish a new Ministry of Housing and Urban Development with an and in Auckland Urban Development Authority (UDA) that could see central Government step in to get more homes built faster in our biggest metropolis. Talk Welly was pleased to hear Wellington City Council boss Kevin Lavery recently state a preference that any UDA in Wellington would need to link with mass transit plans (that’s Let’s Get Wellington Moving, folks). “We need vision, attitude and a heightened sense of what makes our city great,” Lavery said last month. His WCC urban design boffins are starting to look offshore to learn from the best examples of UDA in cities worldwide. 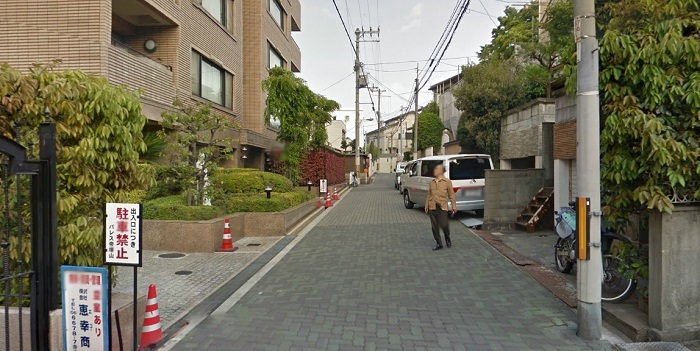 Can we learn from how other countries tackle urban development, things that Japan does so well? Do you live in Lower Hutt or Porirua? What do you think about the proposed changes that could mean an increase in medium density dwellings in your ‘hood? 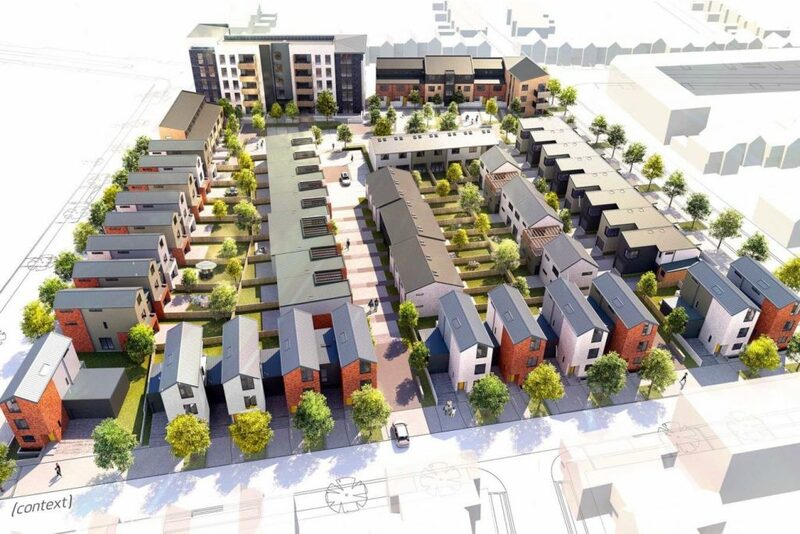 If you’re wondering about how all this good urban design thinking applies to (rare) greenfields suburb developments, take a read of our recent article Steb in the Dark. And, what would Kevin McCloud think? Or Chris Moller for that matter? Could we see more urban tiny homes like this Grandly Designed multi-storey one, popping up in a backyard near you soon? Tune in next time when we unpack mixed-use development a bit and learn about ways neighbours could work together with things like reciprocal intensification property rights!